This tour combines three nature-focused activities in one package. Travel to Temozón, stopping for street food along the way. Once in town, take a dip in the Ek Balam cenote and explore the connected archeological site. 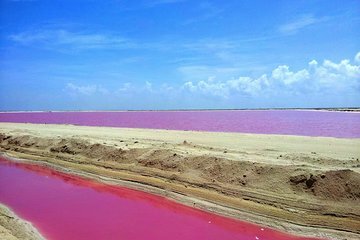 You’ll also visit a crocodile sanctuary and take a boat ride on the pink salt lakes of Las Coloradas.